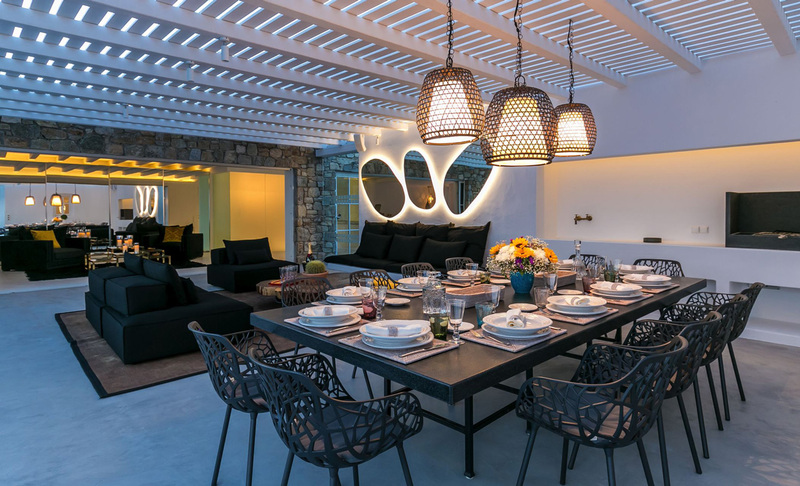 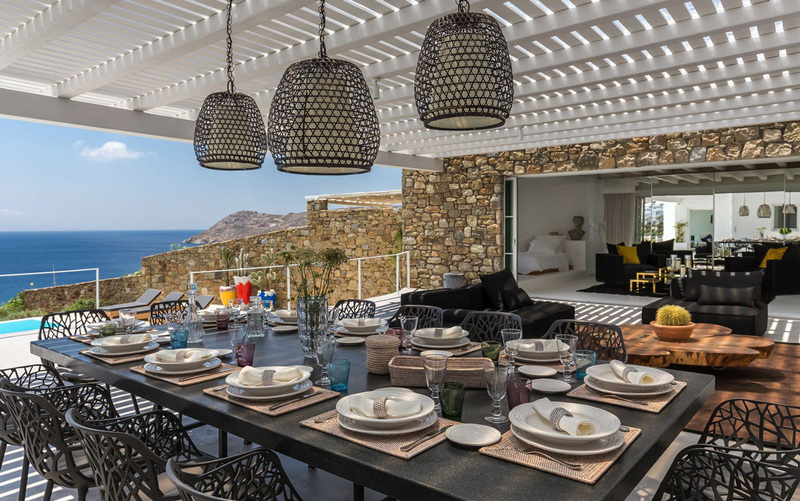 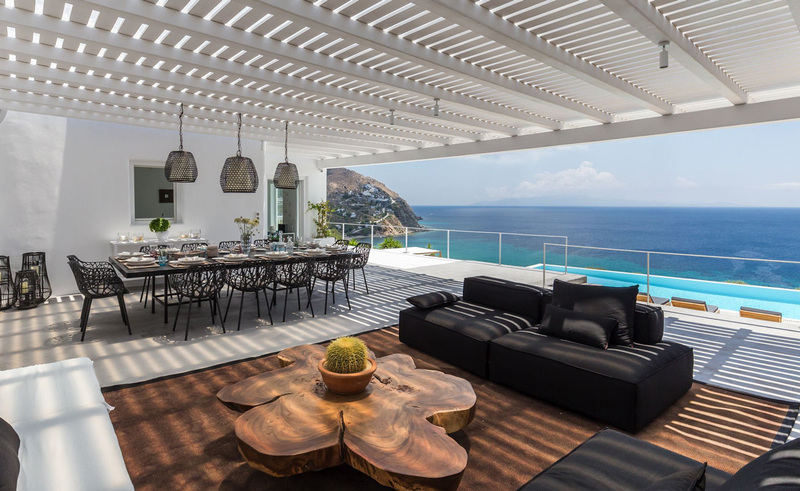 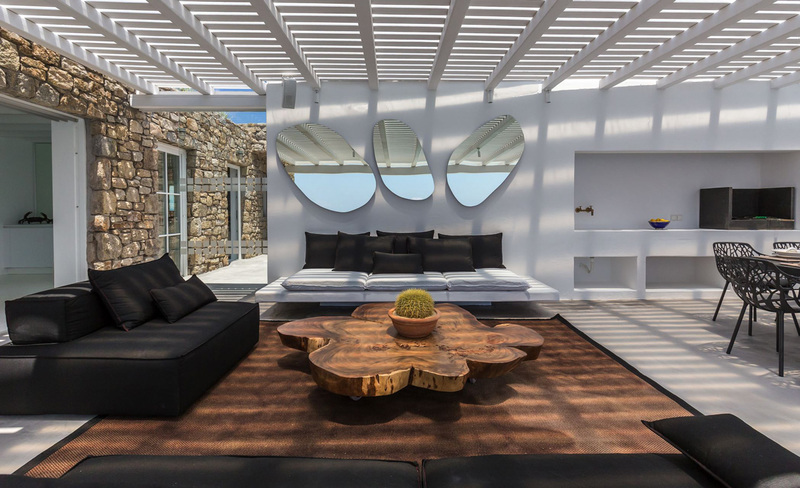 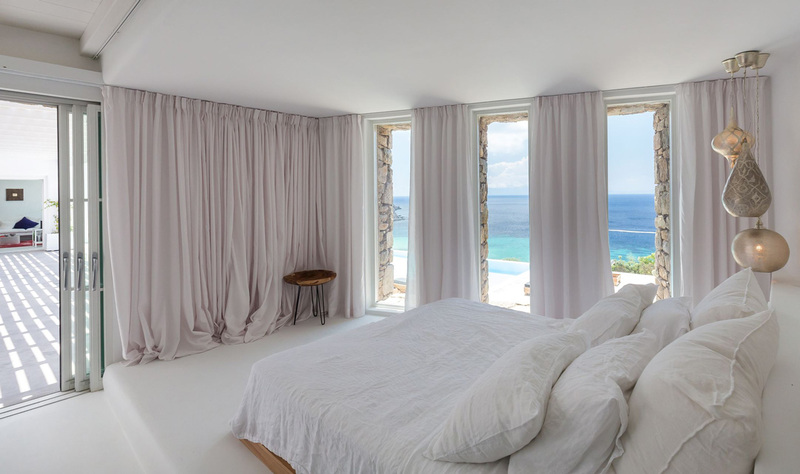 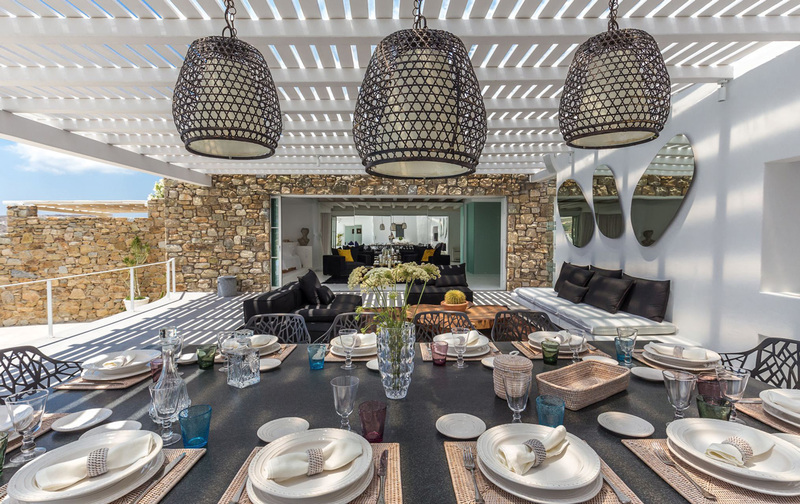 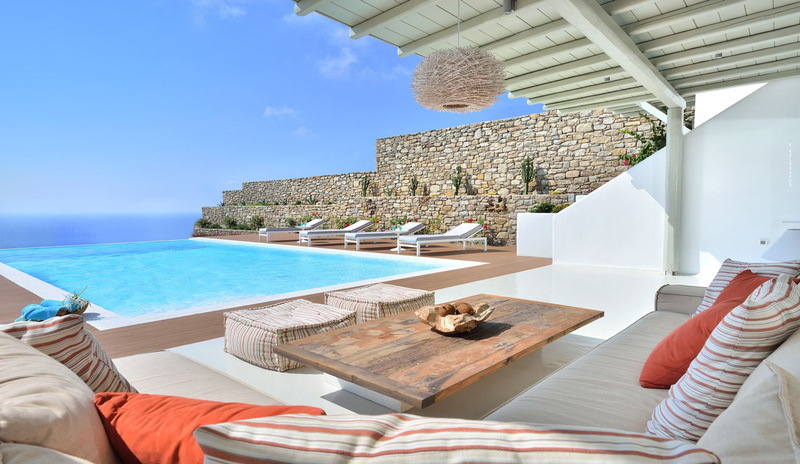 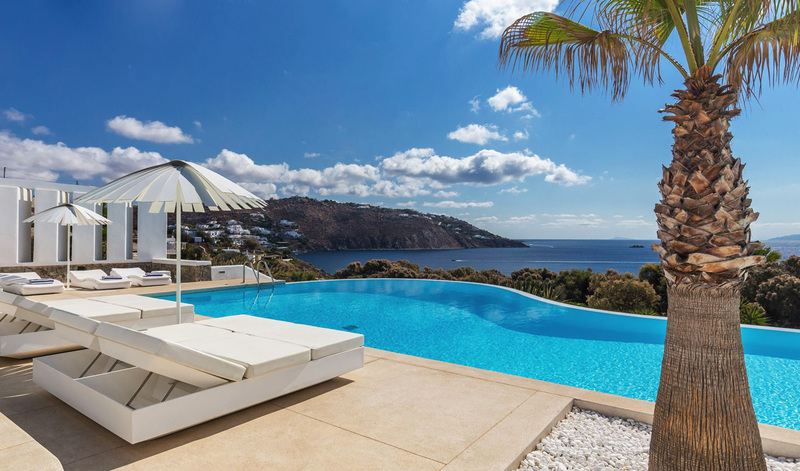 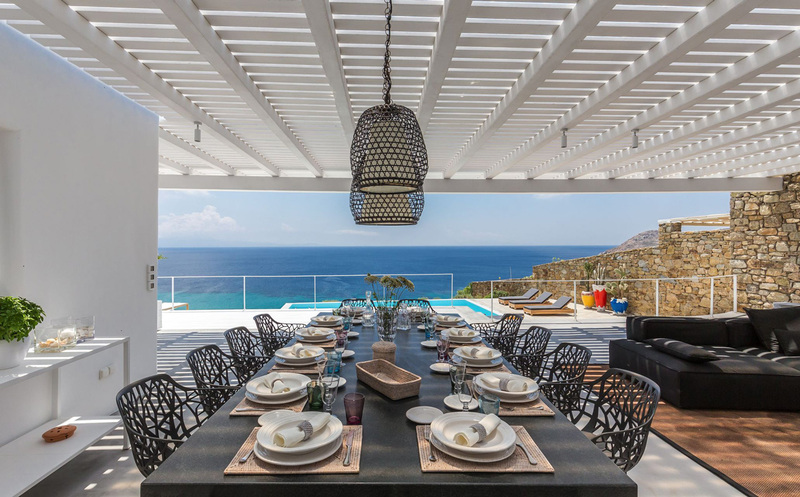 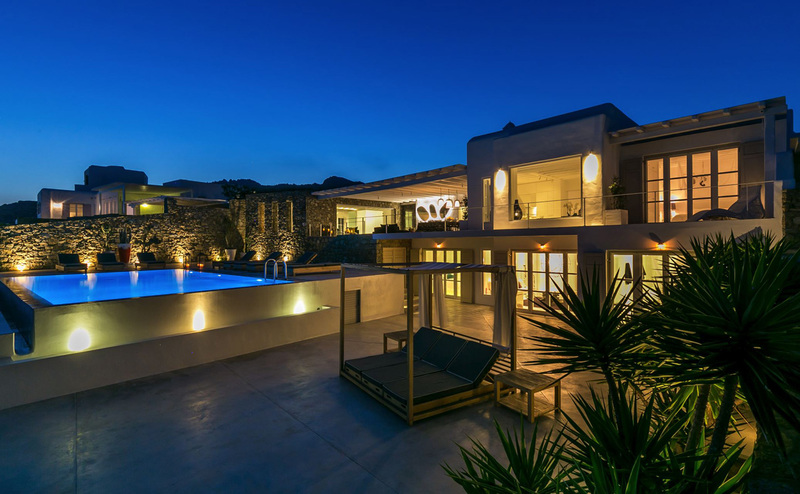 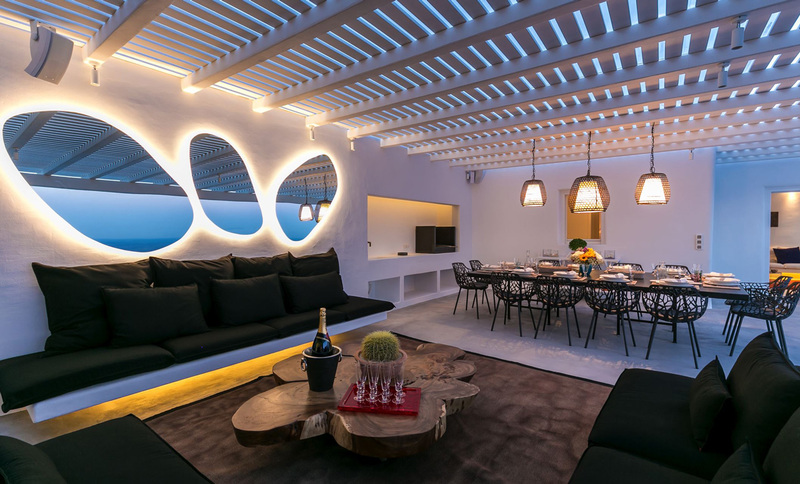 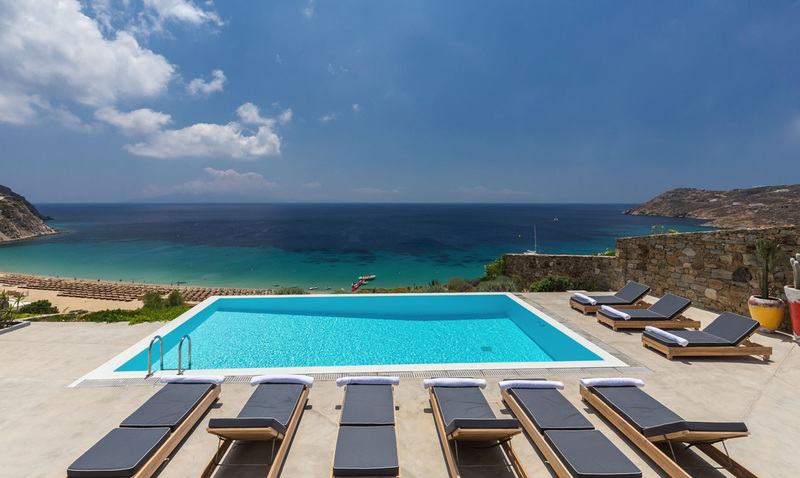 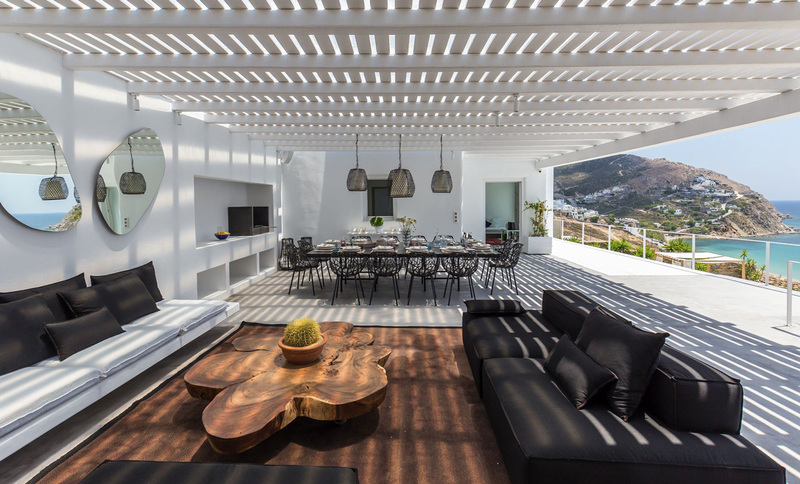 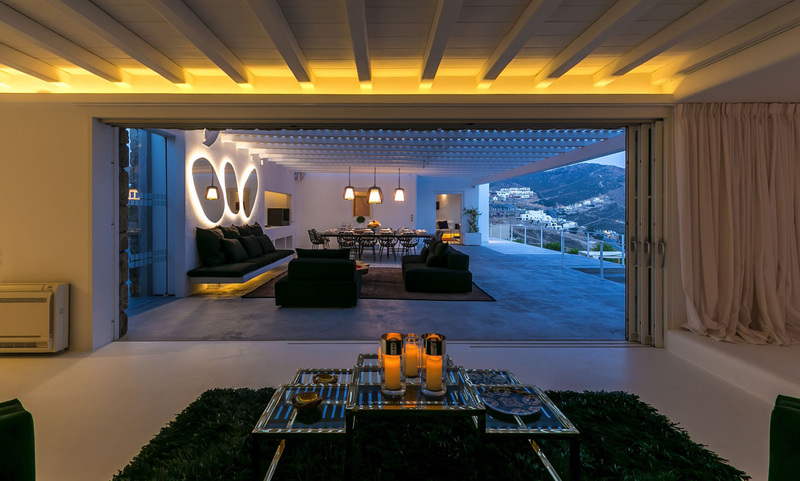 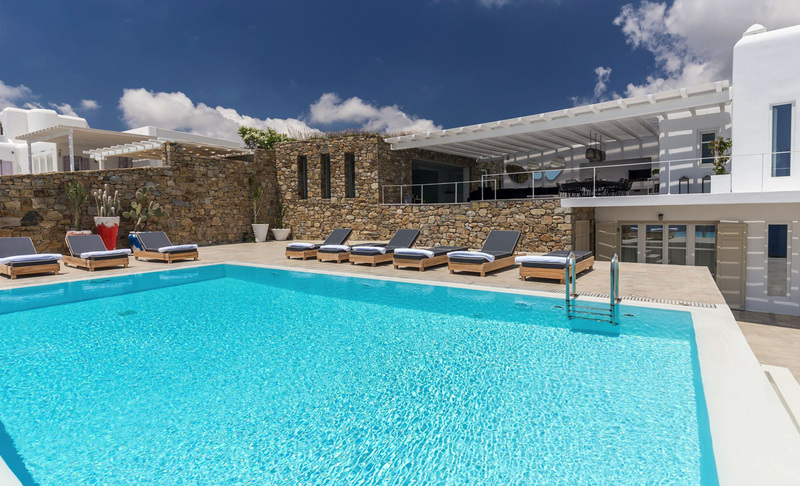 Elia Beach villa for rent in Mykonos, welcoming up to 12 guests with it's 6 bedrooms, 6 bathrooms, 2 levels, infinity Pool, terrace, outdoor dining and incredible sea views for your summer vacations in the Greek islands with Casol! 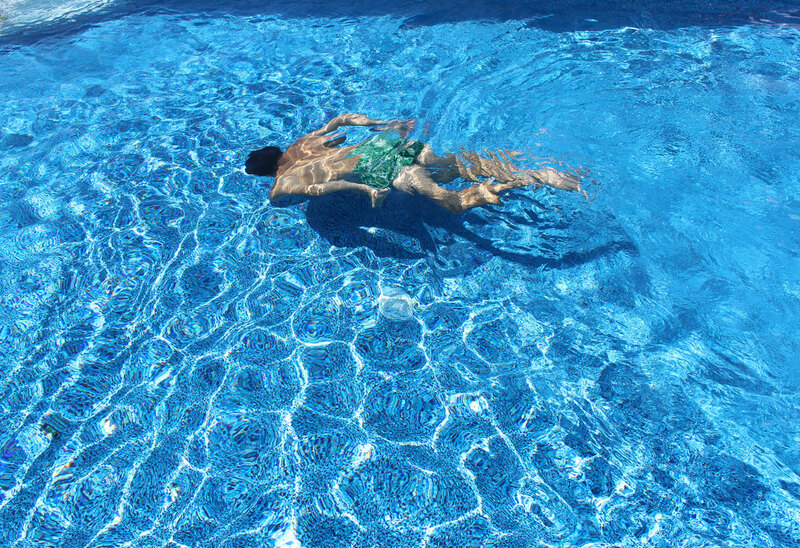 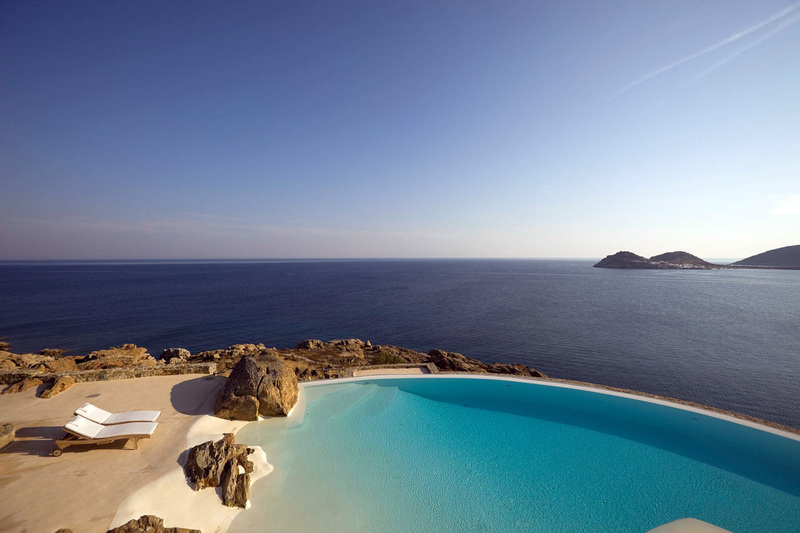 Love to swim at the beach in the morning? 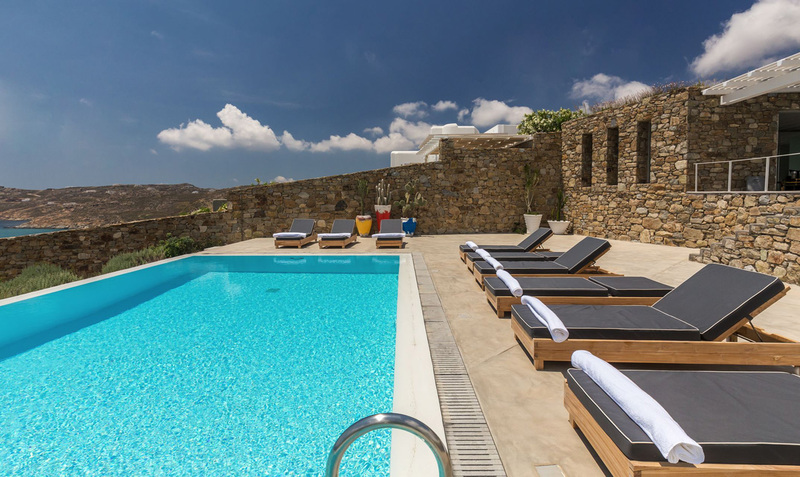 Your villa Nouvelle is just a short walk to Elia Beach in the Southern part of Mykonos. 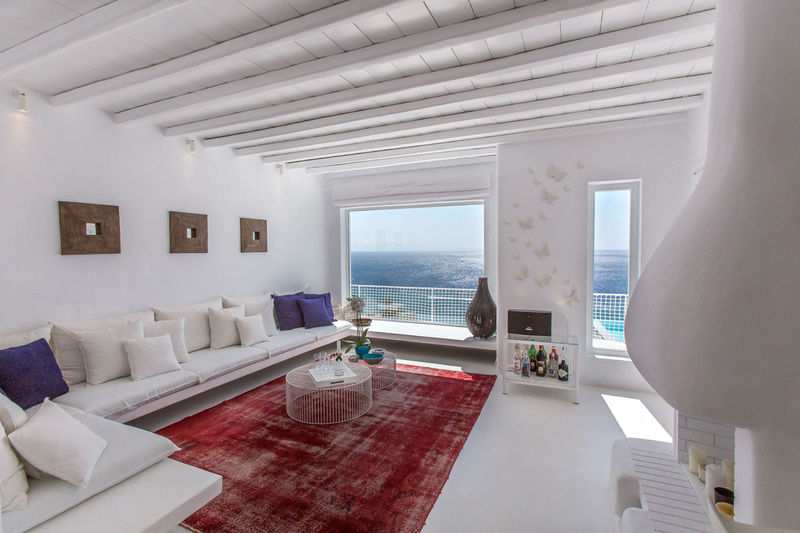 The location allows for extensive views of the bay and sunshine throughout the day. 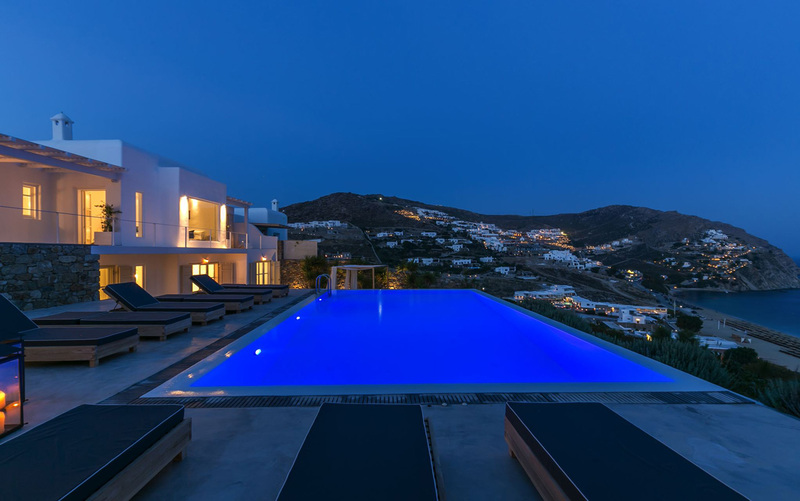 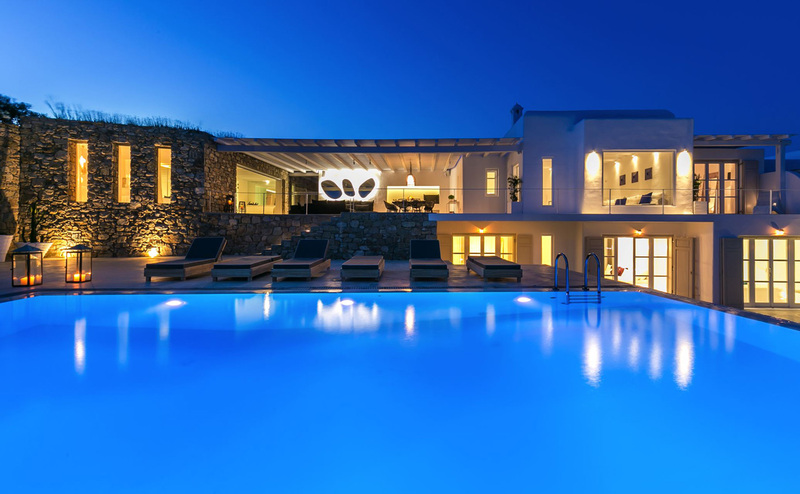 But Nouvelle would not be an amazing Mykonos experience without your infinity swimming pool, placed in the most panoramic part of the terrace. 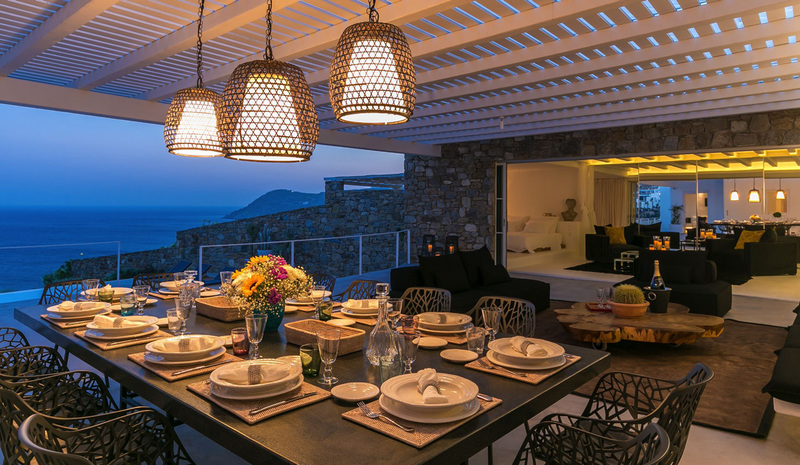 It can be reached both from the front terrace, which is aptly furnished for al fresco dining under a charming pergola, and from the lower level of your property where most of the bedrooms are situated. 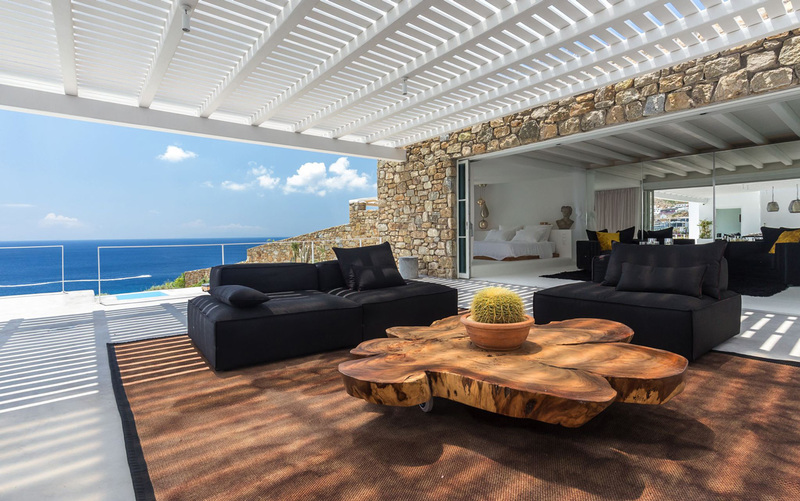 Relax in your stylish furniture thoughtfully placed throughout, or enjoy a meditation in the small lush garden blooming in the area just below. 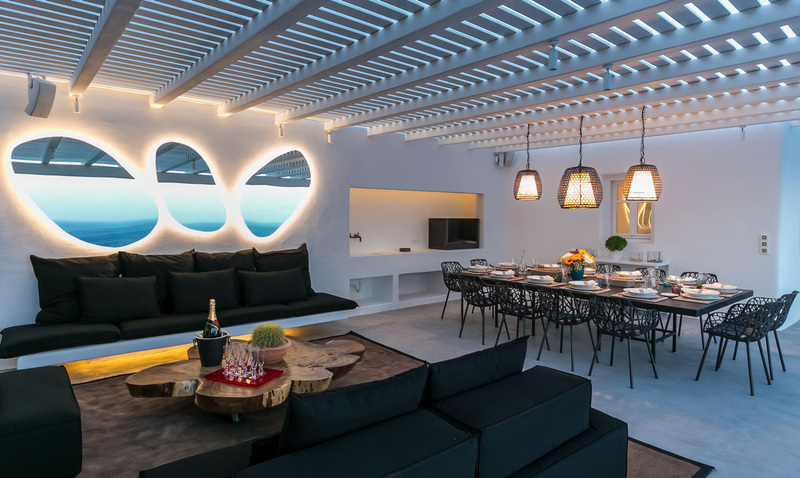 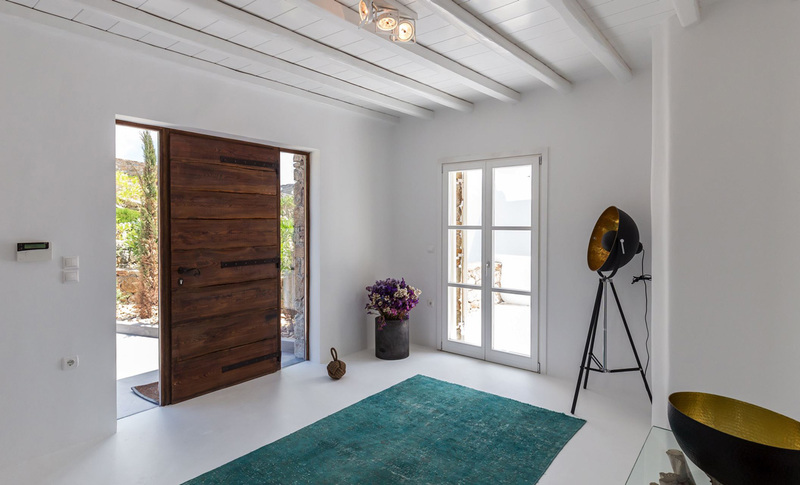 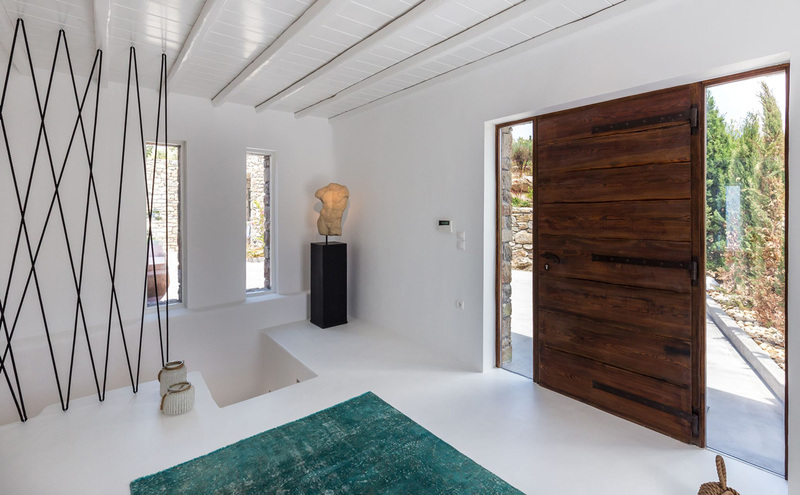 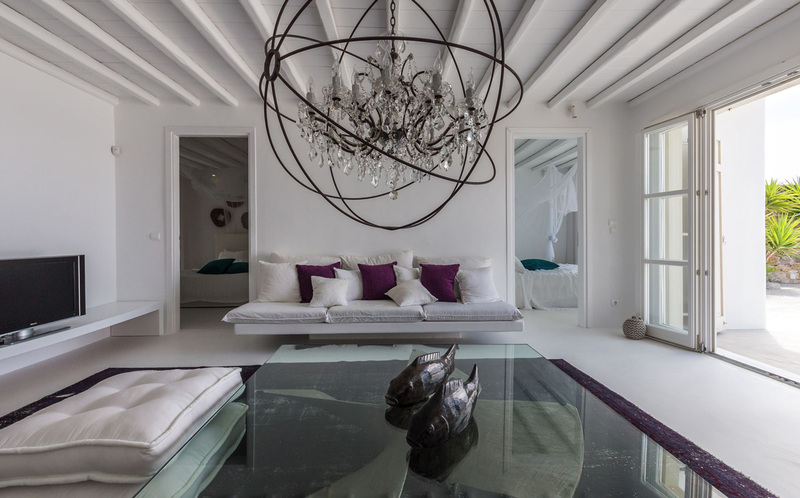 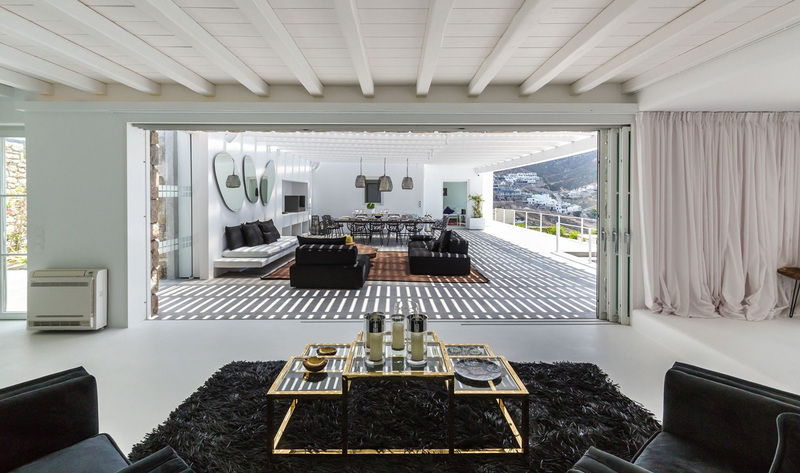 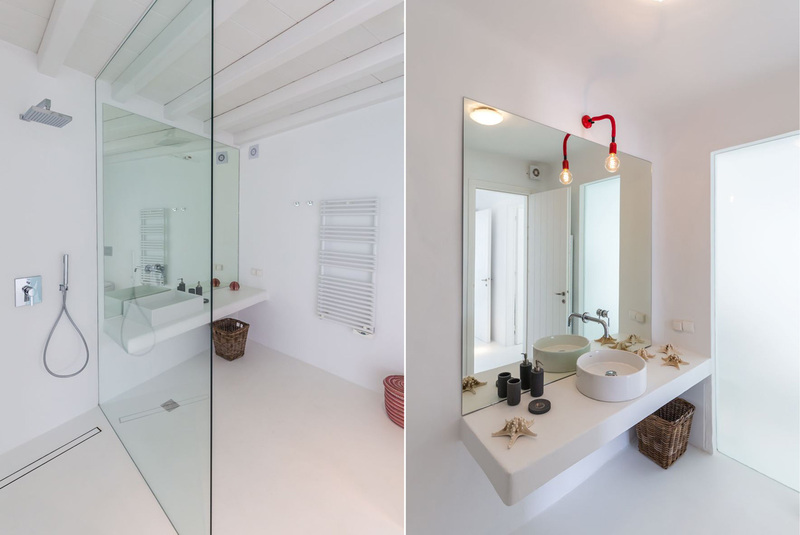 Continue your Mykonos adventure inside with pure white surfaces dominating all spaces solely interrupted with colorful fittings. 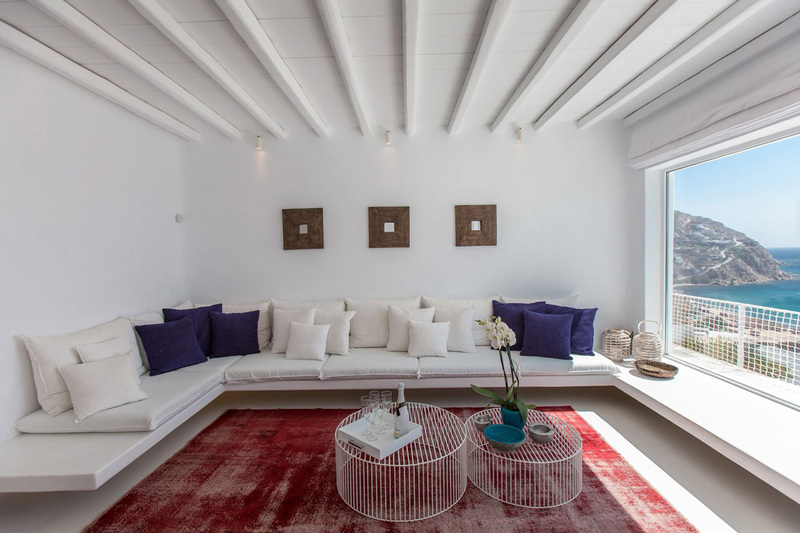 A perfect example would be the two living rooms, one per level, each boasting multicolored sitting areas with throw pillows and elegant coffee tables, great as a hang out place before going out. 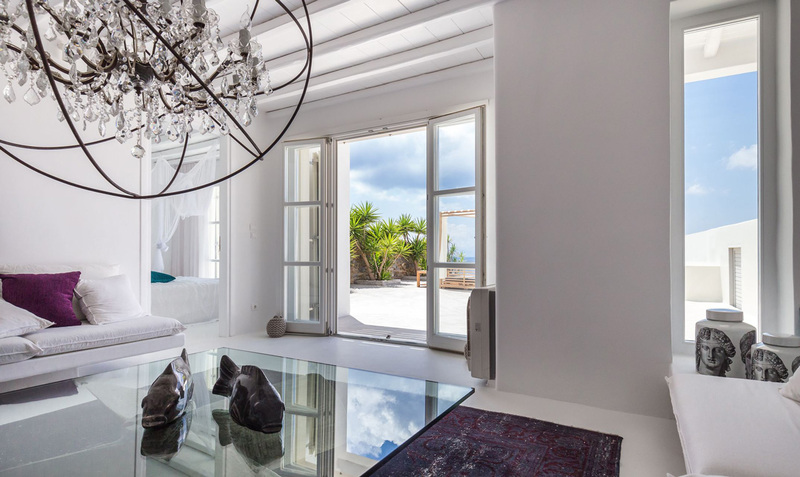 The same theme is found in your property’s bedrooms, all with different views, and appointed in a stylish manner to assure a chic ambience! 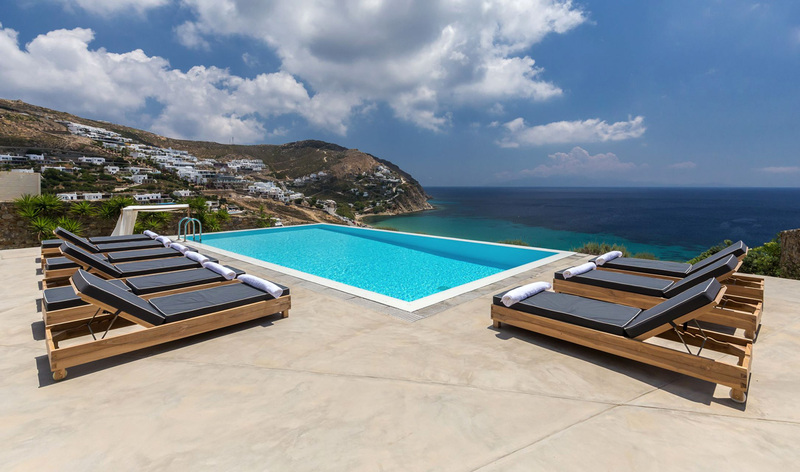 More friends are coming to Mykonos? 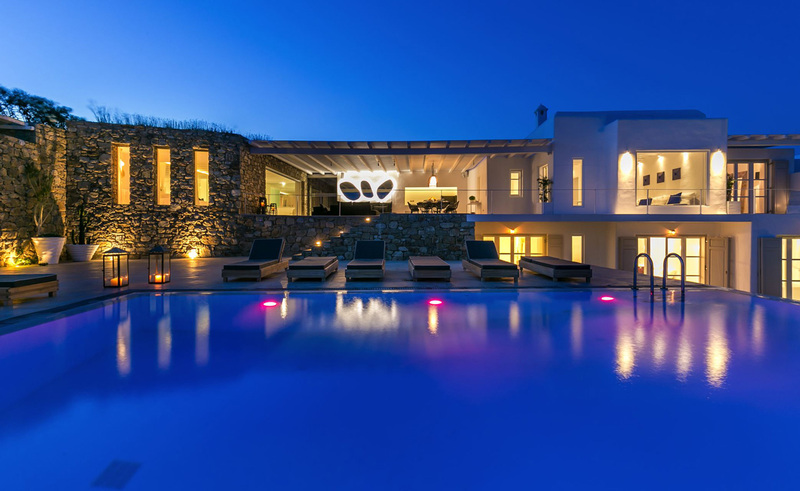 They can stay at Ginger White, it's nearby villa! 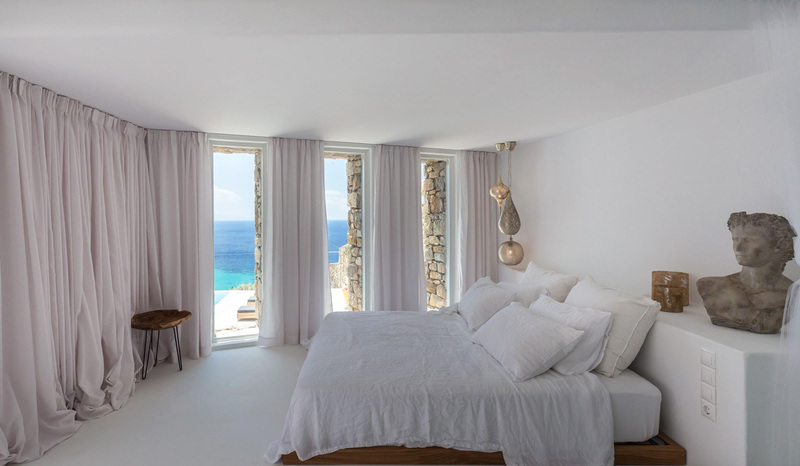 Upper Level - Master Bedroom with double bed, A/C, en-suite bathroom with shower, direct access to main terrace via French doors, sea views. 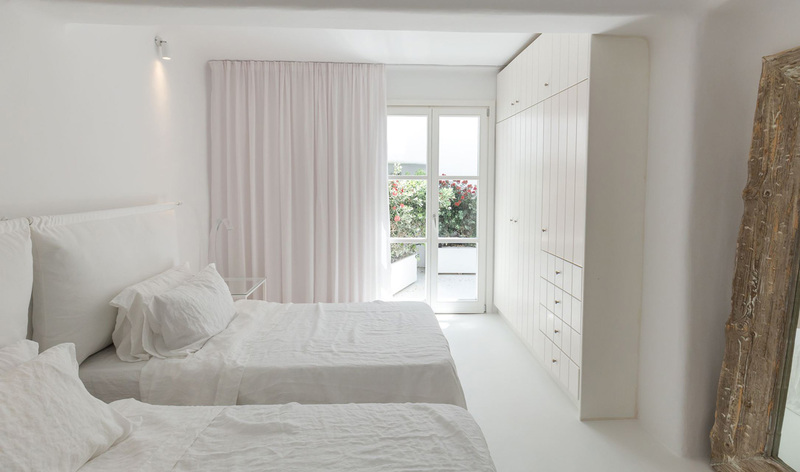 Lower Level - Guest Bedroom with twin beds, A/C, en-suite bathroom. 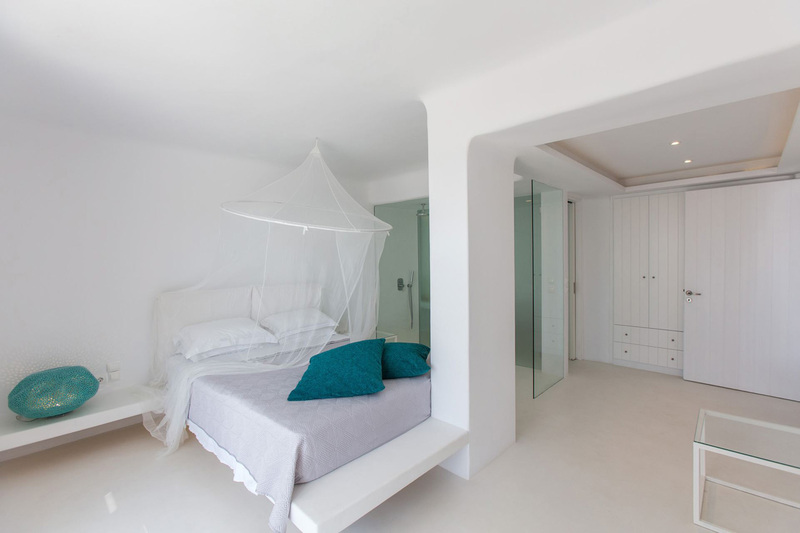 Lower Level - Guest Bedroom with double bed, A/C, en-suite bathroom with shower, accessed externally, lateral sea views. 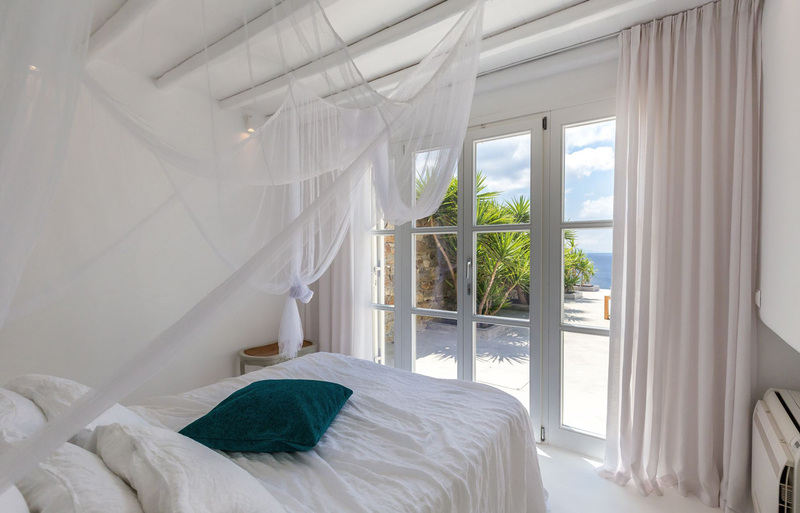 Lower Level - Guest Bedroom with double bed, A/C, en-suite bathroom with shower, accessed externally, sea views. 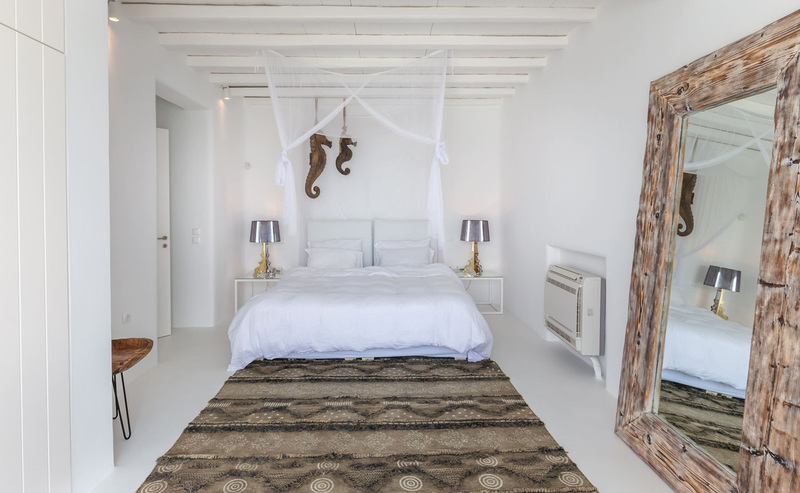 Lower Level - Guest Bedroom with double bed, A/C, en-suite bathroom with shower, kitchenette, independent access from outside. 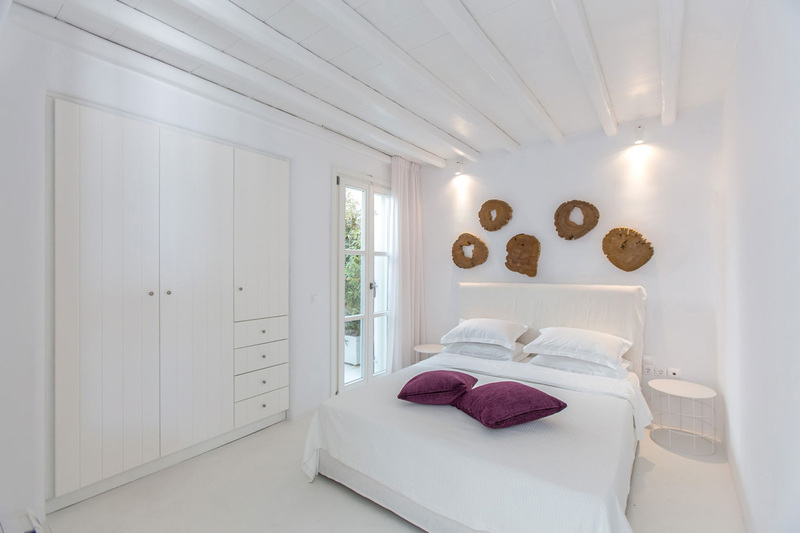 Stay at your Villa Nouvelle, near Elia beach!